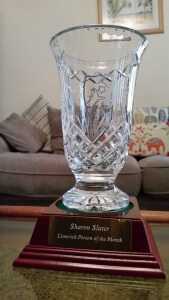 On Tuesday 15 December 2015 the Limerick’s Life project was honoured with the Limerick Person of the Month Award for aiding social engagement in local history. This monthly award is sponsored by the Limerick Leader, Southern Media and the Clarion Hotel. The nominees come from various sections of the Limerick community, from sport to volunteers and everything in between. The one uniting criteria is the positive promoting of Limerick. 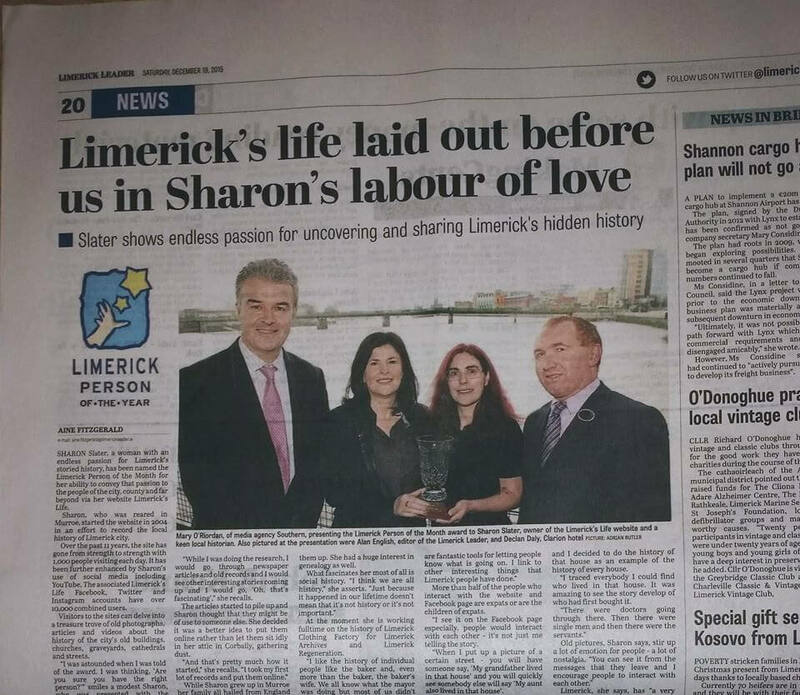 Limerick’s Life is a passion project of Sharon Slater, and has been in operation for over eleven years. Each year it grows from strength to strength by engaging with a wider audience through the Facebook and Twitter communities. I wish to thank all our readers for their interaction with the site over the last eleven years. The real reward of this site has always been knowing that others have enjoyed reading my posts as much as I enjoy writing them. You can read the full article on the Limerick Leader site. Thank you kindly Pam & John. The very best to you both for 2016. Pam and I would like to congratulate you on your achievement in being chosen as the Limerick Person of the Month, the award being given to you on 17th December, 2015. You certainly have a passion for Limerick and your award was a just one. Although we may be a long way away from Limerick we manage to keep our eyes on anything relative to Limerick and in particular your postings. I am sure you understand our reasons. May 2016 be just as rewarding for you. Say Hi to the boys.